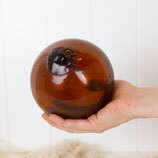 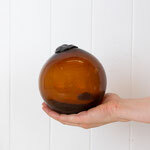 This 5" glass float is deep amber-brown colour and has a wonderful squashed looking seal. 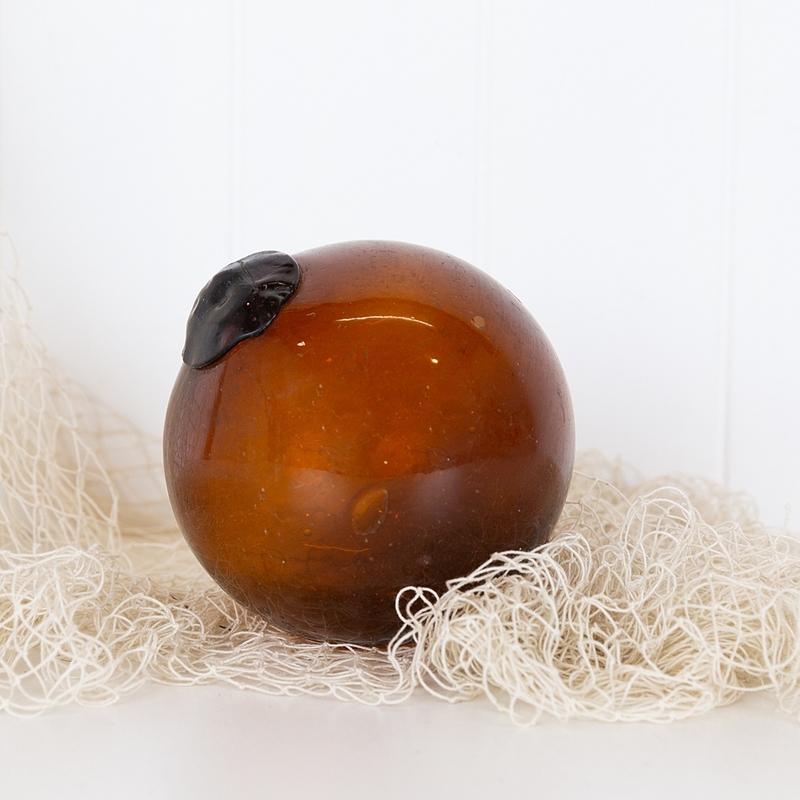 Recently acquired from a collector it is a very special piece and would look wonderful on a window sill to catch the light. Perfect to add to a collection of floats.